Chain Products are proud to announce that we have teamed up with the innovative team at Velcro Companies to stock their best selling products. It’s a great opportunity to add Velcro® Brand fasteners to your retail range so why not add some to your next order requirement? 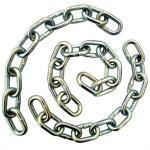 Steel and Stainless Steel Welded Chain to DIN5685/763 & 766 Standards. 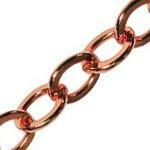 Short, Mid and Long Link styles to suit any purpose. Finishes available are: Self Colour where surface oxidation is not a concern, Bright Zinc Plated or Black Plated for indoor/light outdoor protection, Hot Dip Galvanised for outdoor heavy protection and Polished Stainless for marine environments. Special finishes can be provided upon request with certification. Available cut to desired length, 10mtr boxes & 15-30mtr hanks/reels. 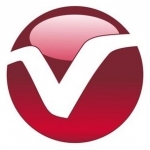 To see our range, click here. 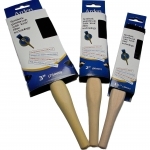 We only stock the most popular range of pre-packed, retail ready hardware products. If you’re looking to introduce a readymade hardware range without uncertainty or guesswork please give our sales team a call. 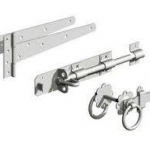 Our range comprises Padlock & Tower Bolts, Tee Hinges, Hasp & Staple and Auto, Ring & Suffolk Gate/Door Latches to mention a few. Our SC-Chain Range is surface hardened to slow down hacksaw attack and coated with a thick Red PVC sleeve to prevent asset damage. 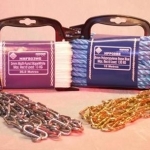 Our QC-Chain Range is manufactured from high quality square section alloy chain which has been specially heat treated to be hard enough to withstand hacksaw and bolt cropper attack. Again coated in a thick blue PVC sleeve asset protection is assured. Both ranges are available in 4 to 10mm diameter material and lengths from 0.6mtr to 2.0mtr. Our third range of security chain is manufactured from especially hard alloy chain designed to withstand hacksaw and bolt cropper attack and is finished in a durable zinc & yellow plate. 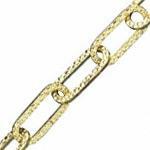 This chain is sold by the metre to suit your needs and available in 6, 8, 10, & 13mm link diameters. 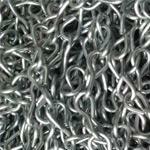 Chain Products is proud to be one of the few remaining manufacturers of light decorative chains in the UK. 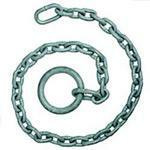 This range is defined by the Brass Oval, Twisted and Ball Chains. We make these styles of chain from Brass, Copper, Stainless Steel and Mild Steel and can offer Polished, Brass, Nickel, Chrome and Black Plated finishes. Wire diameters range from 0.71mm to 3.0mm in most materials and styles. A light, versatile alternative to steel chain. Commonly used as a high visibility barrier around items of interest, or for crowd control. We also stock spiked plastic chain for garden decorative use. Available in a variety of sizes, colours and styles with associated posts and fittings. To see our range, click here. We offer a wide range of Ropes & Twines to suit all applications from versatile general purpose Polypropylene Rope to Wax coated cord for the renovation and upkeep of Sash windows. 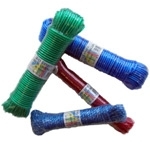 Gardeners and builders twine & cord, to Stainless and Zinc Plated Steel wire rope. Products are available in balls, hanks, coils and on dispensing reels. To see our range, click here. Our range holds everything you will need to get the best out of the chain and rope you purchase. Whether you need a simple carbine hook or quick link to attach chain to an existing fitting, or you have a complicated project that involves a number of different fixture requirements, we will have the expertise and parts to make it happen. 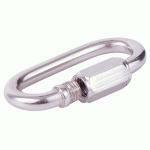 Fixtures and fitting are available in bulk quantities or pre-packed retail ready. To see our range, click here. Our clear & flexible PVC tubing is available in core diameters from 4mm to 25mm, ideal for low pressure air and fluid movement. If your application is under pressure we stock re-enforced tubing with core diameters ranging from 6 to 12mm suitable for operating pressures ranging from 14 to 25 Bar. 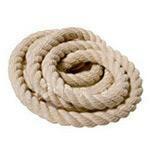 Generally stocked in 30mtr lengths, with longer lengths available by request. Traditional “Jack Chain” style and Straight Sided Welded Chain used in the lighting & ventilation industry for the suspension of installed units. 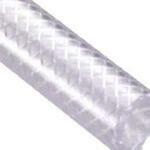 Most commonly supplied in a 3mm wire diameter and with a zinc surface finish. Readily available in 10mtr boxes and longer lengths upon request. Stainless Steel (Grade 316) and Steel Hot Dip Galvanised (Grade 40) submersible pump lifting chains available in 250, 500, 1000, 1500 & 2000kgs working load limits. 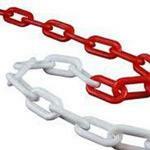 All lifting chains are supplied with an identification tag and test certification. Dog legged and higher load bearing assemblies available upon request. Specialist decorative un-welded chains available in a variety of link styles from 1mm to 4mm material diameter and a range of attractive plating finishes. We stock a wide variety of washing lines to suit all laundry applications and environments. From the classic cotton line to PVC steel core lines, in lengths of 10 to 30mtr. Our PVC and polypropylene lines are available in an array of vibrant colours. To see our range, click here. 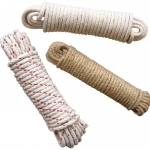 Our range includes Cotton, Cotton Red Spot and Jute Sash Cords for use with Sash Window and Pulley Systems. For a weatherproof and smooth working cord try our Cotton and Cotton Red Spot Waxed range of cords. All cords are available in 10 and 12.5mtr lengths. To see our range, click here. This range has proven very successful in outlets where the cutting of chain can be an issue and we are very proud to have pioneered the presentation of chain & rope in this format. Each item carries a full product description label and a barcode label for ease at sale point. To see our range, click here.